Fun Idea! | Dreams Inc.
Dreams Inc. || Fun Idea! Little animal companions "bite" onto your Official USB Power Adapter to protect your lightning cable! onto your smartphone! Cable Accessory for your iPhone. Toss the fried egg frisbee and egg ball and see if you can catch it in your frying pan! Enjoy your music in sweet style with Donuts Earphone! Comes in 4 delicious chocolate flavors. Perfect way to store all your take out menus, documents and letters. Peek out of your book... and you will transform into an animal! Pins that light up at a push of a button. Makes for a perfect bed light or closet light so you can see in the dark. Stick onto magnetic surfaces such as refrigerators to use as little guide lights. When you place the egg on water, a great dinosaur projection will appear! Travel sized pocket fans with fun designs for you to enjoy! Clips onto pockets so you don't lose your keys! Fun, easy stick-on decorative lip stickers. Just watching at his face will make you want to laugh. Pull and squeeze at ugly dog's wrinkles to destress. 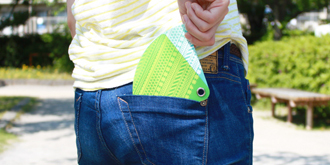 Slim and compact pocket-sized fan with cute designs. Folds out to a broccoli shape! 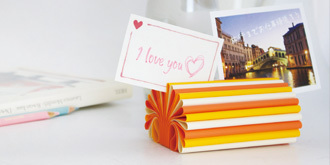 Makes for a cute way to store all your business cards, notes and more! Pocket-sized tablets made of natural vegan soap. Bottle lamp in antique design. The LED flame inside the bottle flickers like a candle.